Neil Gaiman, long inspired by ancient mythology in creating the fantastical realms of his fiction, presents a bravura rendition of the Norse gods and their world from their origin though their upheaval in Ragnarok. In Norse Mythology, Gaiman stays true to the myths in envisioning the major Norse pantheon: Odin, the highest of the high, wise, daring, and cunning; Thor, Odin’s son, incredibly strong yet not the wisest of gods; and Loki?son of a giant?blood brother to Odin and a trickster and unsurpassable manipulator. This is my first Neil Gaiman book and I thoroughly enjoyed it. And yes it is my first Norse mythology read too. Now I see why people adore Neil Gaiman, his representation of the story was way beyond the sky. This book is not about particular story tag but the exploration of each events or a person as in detailed chapters. It was witty,sarcastic and revengeful. Each story was gripping and short and gave a insight about the gods and their mischief ways. Did Neil write this book for adult or children? . At the end of each chapter I felt Neil ended up with children’s short story kind. Definitely could be read for kids. The book just got over real soon and I wish it had more tales to it. The poets out there ,your ancestors had that mead and that’s why you are awesome with the words and so please don”t take ultimate credit by all yourself. 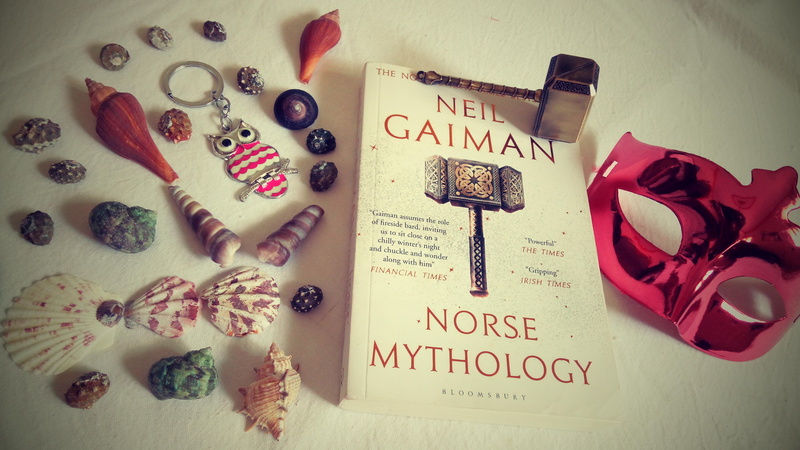 Overall “Norse Mythology” is clearly a perfect club of short stories kind which interests you in Norse gods. Not a sugar coated narration unlike the films but a proper yet short retelling of Norse Mythology. Neil Richard MacKinnon Gaiman born Neil Richard Gaiman, 10 November 1960) is an English author of short fiction, novels, comic books, graphic novels, audio theatre, and films. His notable works include the comic book series The Sandman and novels Stardust, American Gods, Coraline, and The Graveyard Book. He has won numerous awards, including the Hugo, Nebula, and Bram Stoker awards, as well as the Newbery and Caneige medals. He is the first author to win both the Newbery and the Carnegie medals for the same work, The Graveyard Book (2008). In 2013, The Ocean At The End Of The Lane was voted Book of the Year in the British National Book Awards.